What evidence can help prove a long term disability claim? It is nearly impossible to prevail in a long-term disability (LTD) case without going for regular, ongoing medical treatment. Your insurer will expect you to make visits to your primary care doctor and appropriate specialists at regular intervals. The general rule of thumb is that there should not be more than 90 day gaps between visits with any given provider. If you suffer from a psychiatric condition such as depression, bipolar or anxiety, you should be seeing a mental health provider – preferably a psychiatrist or psychologist – at least once a month. If you have a physical impairment, you should be visiting the doctor regularly and your doctor should be conducting medical examinations and/or ordering objective medical tests, including x-rays, MRIs, and CT scans, whenever possible. Medical Records. The foundation of every case is medical records from treating physicians and medical specialists. Objective medical evidence is documentation from tests, including but not limited to: medical resonance imaging (MRIs), x-rays, CT scans, EKGs, EMGs, pulmonary function tests, blood tests and other lab work / chemical tests, electrophysiological studies (electrocardiogram, electroencephalogram (EEG), etc. ), and psychological tests. In order to maximize the chances of being approved for disability insurance benefits, a claimant should try to make sure that his or her treating providers have ordered all of the necessary tests to properly diagnose the claimant’s condition. Without objective documentation, the insurance company is much more likely to deny benefits. For example, a claimant with Multiple Sclerosis (MS) should be able to provide objective test results such as an MRI of the brain, a spinal tap, and/or tests measuring electrical activity in the brain. For more information about Multiple Sclerosis, see our article on Multiple Sclerosis Disability Claims. Obviously, not all medical disorders are diagnosed with “objective” test results, which can make establishing disability with such conditions challenging. Take fibromyalgia, for example. You cannot take an x-ray of fibromyalgia and prove it with objective medical testing. The “pressure point test” is a traditional method of testing for fibromyalgia, but this test is subjective (not objective) in nature as it relies on the subjective complaints of the patient (i.e., it relies on the patient saying it hurts when the doctor presses a pressure point). As someone with fibromyalgia may not be able to produce traditional objective medical evidence of his or her condition, a claimant applying for disability for fibro may have a more difficult time proving his or her condition is totally disabling. For more information about fibromyalgia, see our article on Fibromyalgia Disability Claims. The Difficulty of Proving Subjective Complaints. Another symptom that is difficult to prove is impaired cognitive functioning. Most insurance companies will not accept a claimant’s self-reported memory loss or inability to concentrate. That is why it is essential for the claimant to speak with his or her treating physicians about such symptoms and – if possible – undergo neurological testing, psychological testing, or a mental status examination. These types of tests can help provide the insurance company with evidence describing the severity of the claimant’s cognitive impairments. The Difficulty of Proving Migraines. A migraine headache disorder is another medical condition that may not appear on objective testing. However, this condition can be recorded in a symptoms log. When a claimant experiences a migraine, it is not always feasible to see the doctor immediately or necessary seek treatment at an Emergency Room. That’s why the claimant should keep a migraine headaches log to document the frequency, severity, and duration of his or her migraine headaches. For a good example of a migraine headaches log, please see our resources page for a free download of a headache log. A migraine headache claimant should also provide this completed symptoms log to his or her treating physician and ask that the symptoms log be added to his or her medical records. This will allow the treating physician to view the claimant’s symptoms and understand the severity of his or her condition. Another Note: Missing medical records. Long term disability insurance claims are often denied due to “insufficient medical evidence”. Many claimants are under the mistaken assumption that it is the insurance company’s duty and obligation to obtain all of your medical records. However, this is simply not the case. Most insurance companies will request the medical records. 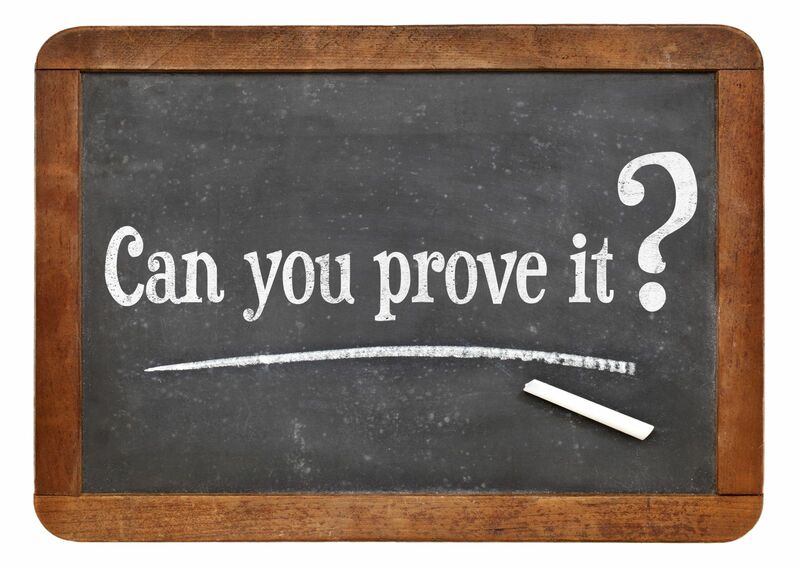 However, it is the claimant’s “burden of proof”, which means the claimant should make sure the insurance company has all relevant medical records. For this reason, you should ask your disability carrier for a list of all of the records it has requested and a list of records it has actually received. If some medical records are missing, you should make sure that your insurer requests the appropriate records or even obtain those records yourself. Some persistence may be required. Doctor’s Statement. Perhaps the single most important piece of evidence in proving your disability claim is the opinion of your treating physician(s). In addition to providing your medical records, you should ask your doctor to provide a detailed opinion as to your work-related medical limitations that result from your medical conditions. Note: Do not rely on the forms from your insurance company. These are generic for any medical condition. Moreover, the carrier’s forms are often designed to elicit responses that will support a denial. You should have a form that is tailored for your specific medical condition, or have your doctor write a letter that details exactly how your impairment limits your work abilities. If your treating doctor refuses to support your case, you should seriously consider finding a doctor who will. Your Own Statement. Sometimes your own sworn statement or video specifically describing your medical conditions and resulting functional limitations helps overturn a denial. Your Own IME or FCE. You may consider ordering your own independent medical evaluation (IME) or functionally capacity evaluation (FCE) and submit the report in support of your claim or FCE.